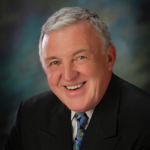 Former Texas House Committee on Corrections Chairman JERRY MADDEN is a Senior Fellow at the Right on Crime campaign. Rep. Madden is best known, along with Senator John Whitmire, as the driving force behind the successful and much-copied 2007 Texas criminal justice reforms. (For their work, Governing Magazine named them Public Officials of the Year in 2010.) Madden graduated from West Point with a BS in Engineering, obtained a Master of Science in Management and Administration Sciences from the University of Texas at Dallas in 1979, and has since been honored as one of their distinguished graduates. After being elected to the Texas Legislature in November of 1992, he served ten terms. While there, Rep. Madden was Chairman of the House Committee on Corrections from 2005-2009 and again from 2011-2012. In 2011, the American Legislative Exchange Council honored Rep. Madden as their Legislator of the Year. He chaired ALEC’s Public Safety and Elections Task Force from January 2011 through April of 2012, and serves as well on the Texas Criminal Justice Integrity Unit. He and his family have lived in Richardson, Texas since 1971.